The IDF intercepted an attempt to smuggle an Iranian shipment of advanced weaponry intended for terrorist organizations operating in the Gaza Strip. The operation took place in the early hours of Wednesday morning. The operation was made possible due to the combination of in-depth intelligence and enhanced operational capabilities. 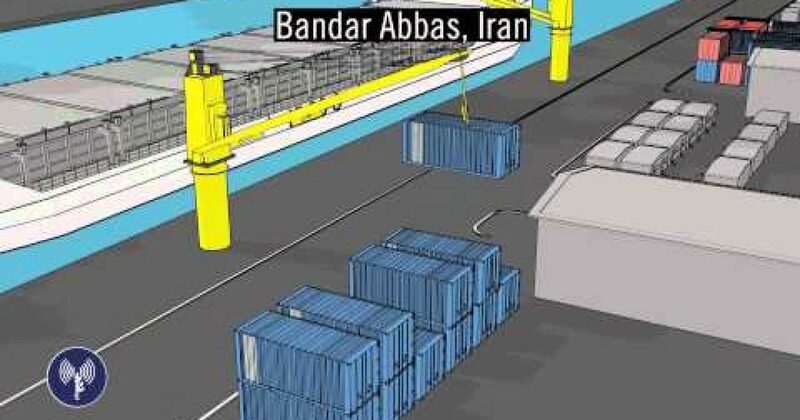 This shipment was meant to reach the hands of terrorist organizations in Gaza that are waging an ongoing armed conflict against Israel. These terrorist organizations systematically use such weaponry against the Israeli civilian population. Last night, following extensive preparations, and on the government’s authorization, the IDF Chief of the General Staff, Lieutenant General Benjamin (Benny) Gantz, ordered the Israel Navy to intercept the Klos-C, upon which the illicit arms were concealed in between commercial cargo. IDF special naval forces boarded the vessel, in accordance with international law, and carried out a preliminary inspection of the cargo. They discovered numerous advanced weapons during the inspection. The Navy is currently sailing together with the cargo ship back to Israeli shores. This post will be updated as more news is released.